Watch this video a Thief has this vehicle in less than 2 minutes!! Wow and that was in a protected parking garage with video surveillance…that is just mind blowing. Who is going to report or even pull this thief over he has the car with no visible damage. Hey it was bad enough that Volkswagon intentionally put in computer systems to allow their vehicles to pass vehicle exhaust safety checks please realize they have done the same with your security system. Volkswagen sued researchers for two years to keep them from revealing security vulnerabilities in key-less ignitions; the flaws make the vehicles easier to steal. 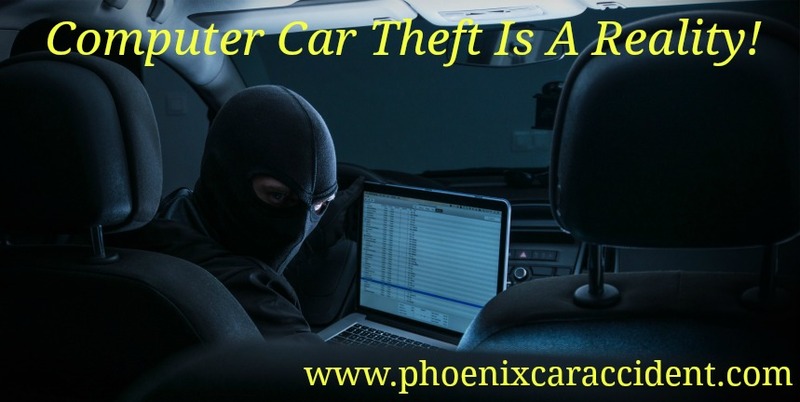 Society is taking technology for granted as it seemingly has infiltrated our everyday life from work to entertainment and let’s not forget car lock systems that are supposed to keep your car safe from burglary and theft. Now that are homes are connected to the internet, innovators have developed software and hardware for the cars we drive every day. When vehicles connect to the internet, automakers now have computerized amenities built in that make their products more desirable to trendsetting consumers. But just like any other devices that can communicate with the World Wide Web, linked vehicles bring security issues. As connected cars gradually become more mainstream, it’s important that consumers be aware of the dangers they face from a security breach. In a recent Press Release Houston Police believe more than 100 Cars Stolen were stolen by high-tech thieves using computers to hack the car computers. A pair of alleged thieves pulled off a high-tech plot to steal more than 100 Fiat Chrysler vehicles and send them to Mexico from Texas, police said, and the company believes the suspects reprogrammed key fobs with the help of employees at dealerships and repair facilities. Watch the video below it is unbelievable how fast these computer hackers are. Amazingly in the 100 cars stolen article it stated “It is unclear how the cars made it across the U.S.-Mexico border.” We should all realize that it is extremely difficult to get past the US border patrol but in this case it seems these two thugs got away with transporting close to 100 cars. How are computers used in modern motor vehicles? What are some of the ways an attacker can access vehicle networks and driver data? Cyber-security Recalls and Consumer Action-How can consumers determine whether their vehicle has been recalled for a vehicle cyber-security issue? So it only makes sense to do everything you can to prevent your car from being stolen by computer hackers.